VON ORMY-- Von Ormy will soon open its first city offices. 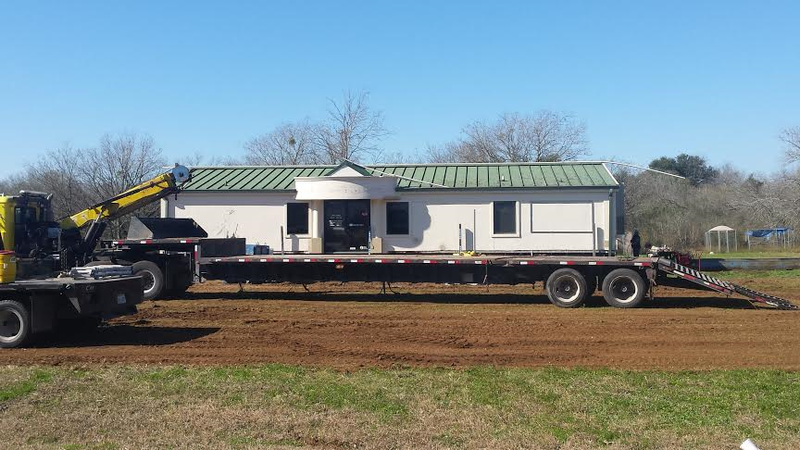 The long awaited city office buildings are currently being installed in the Von Ormy Municipal Park. The first to be installed will serve as the home of the Von Ormy Police Department. The building was originally used as a bank building and was purchased by the city in 2014. City Commissioner Sally Martinez said, "A second building will house the City's administrative offices, court and council meetings. The second building is new and will be delivered in February." The City Commission has also approved bids for a parking lot to service the new buildings. Once installed the buildings will receive ADA compliance decking for accessibility. The buildings were paid out of the the City's multi-year surplus. Martinez said, "We have been saving for several years so that we could buy our city buildings outright and avoid debt to the city." City Commissioner Alex Quintanilla told the Star, "These are our two big projects now. Following completion of this project, I would like to focus on the park , including clearing the rest of the property, connecting the park to Ridgecrest and installing benches and maybe a basketball court." At the January regular meeting, City Commission approved the founding of a Von Ormy Park Endowment (to be formally named later) to help raise funds to maintain and improve the park.